Gathering words and rhyming a ton. A little more thought on this world we share. some of them dark, some of them strange. In short, you can choose from quite a range. Then I've posted them here for all to see. Or use the Search if that's best for you. Sharing with others is awfully kind. So never a story or poem you'll lose. We're going shopping. It's holiday time. Time to find deals and to get into line. Bust through doors to see what you find. If you're patient you'll lose the good price. You'll understand then it's not time to be nice. Push them over if they get in your way. It's time to score big and reduce what you pay. For what did I say? he might give you what for. I do think it was half off ... and she's not looking. for that fat fellow dressed all in red. our wallets would fall over dead. let's make sure we get the deal of the day. was a special little baby that came to save our souls. It's time to get a deal for the holiday. Finish your turkey and jump in the car. The stores are staying open and they're not that far. so they can be swamped by the shopping mobs. then get even more with Cyber Monday steals. especially if the weather is all cold and gray. Shopping's what it means to have a holiday. since we bought ourselves a TV and so much more. That's why it's worth it to push through the fray. To do this kind of shopping. It's a holiday. That most adults are really slow? Their intellect's an awful fright. That nighttime is as safe as day. A light they eat to put on weight. But they don't care, for goodness sake. And so you stay up half the night. Or slither up right near your head. You hear them in the closet too. But what do Mom and Dad just do? They tell you everything's all right. That boogie monsters cannot bite. They say there's nothing in the room. And then they leave you to your doom. The things you know, the things you fear. When the shadows gobbled up their light. So now you know much more than they. The night is not as safe as day. The shadows that can disappear. Hold on to your special light. Whose eyes and ears have gone so bad. Before they eat up all your light. So listen up. I'll tell you how. To anything that eats the light. Animals stuffed will also do. When love within a heart is strong. And love we gather as we pray. An animal fills a heart with joy. By hating them or causing fear. In fact, the hate will draw them near. And pour this love into your light. That shadows simply cannot eat. Love your dad and love your mom. Love Aunt Jane and Uncle Tom. Love your friends and siblings too. Love all day in all you do. And they'll succumb to their defeat. These warnings now and evermore. And lose your hearing and your sight. That nothing's in his darkened room. And then you'll leave him to his doom. Love without end, each night, each day. It's the Halloween sensation that you know all the clubs will be playing throughout October. Right? Get ready to sing and dance to this humorous hip hop / rap Zombie song. Lyrics posted below the video (and are written out in the video). And they don't know what to do. And I got hit in the head. And they tell me it's a crime. So you tell me what to do. Should I starve myself to death? Well what if it was you? So your morals don't apply. And I stay away from grains. When I get so close to you. And I not catch anyone. And I sleep throughout the day. For just a little bite. Then you won't feel any pain. And you won't give brains to me. So I don't like being dead. That I sing it all the time. But I'm not a boogie man. And who needs to make a plan. Quick ... quick ... you see? It's starting up. It's starting all over. It's going to make me rhyme. Quickly now, I need brains. Give me some. Come back here. Hey ... where you going? Brains ... zombie ... just dead because I got in a fight. Looking for free images that you can use in any personal or business project? How about high-resolution royalty-free images that don't cost you a dime? Check out "The Unsplash Poem." And that's where Unsplash comes in, you see. So you can get back to what you must do. For they've all gone through the editor's test. And all can be used in hundreds of ways. Give flare to your blog or business card. Enhance a brochure -- it's not that hard. Unsplash is here for whatever you do. For their pictures are free, yes ... all of the time. Used on a gift for Aunt Gertrude as well. Perhaps you need photos of a jelly fish. Or a picture of some gourmet dish. Maybe it's an image of the moon at night. Just use the search at the top of the site. To beautify projects without spending cash. Enhancing your projects with Unsplash art. Comes waving a flag of Red, White, and Blue. A symbol of freedom from tyrants and kings. Uprooting those with a wrongful crown. Against the darkness and for the light. Than just using weapons to fight a war. Standing for others. Standing for good. A family that lives throughout the land. 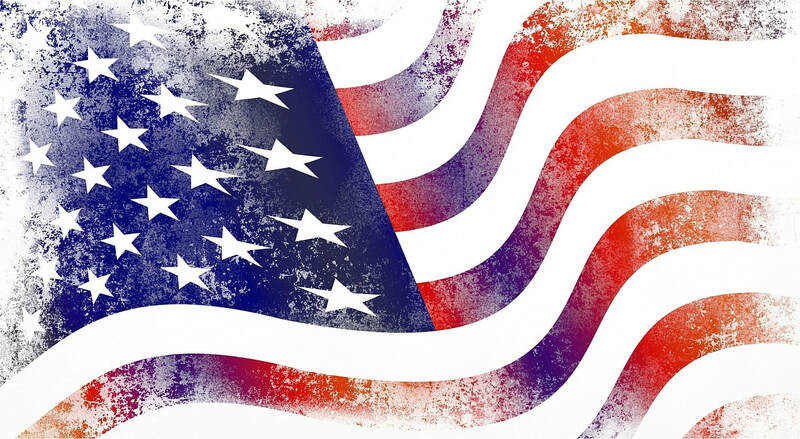 We're one as a nation of Red, White, and Blue. When we live as a family; when we live as one. Against the control of the global machine. As we hold our ground for the Red, White, and Blue. a vampire never chewed him. because of so much killing. Were what he found fulfilling. you thought were really bad. As dear old wicked Vlad. 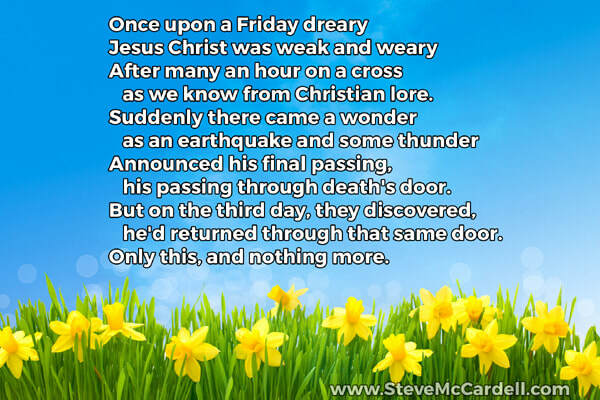 as we know from Christian lore. his passing through death's door. he'd returned through that same door. For Poe's birthday, January 19, 2016, I decided to put together this poem summarizing the great macabre author's life. I acknowledge that some sources give different details about his life, so forgive the details and let's appreciate the challenges he went through while leaving us some impressive work. ​Poe fans may notice the gentle nods to his famous poem, "Annabel Lee." To a life that would be forlorn. His dear old mom or dad. In the Allan's home of wealth. But he was booted from the UVA. At least he had his health. And on to West Point then. And he began to think. Or no acclaim of note. Poe found her quite a gem. Though as a critic he was a thug. Like "The Raven" and "The Gold Bug." He was taken for some care. For the man was in despair. Not a dime unto his name. With his writing all the same.